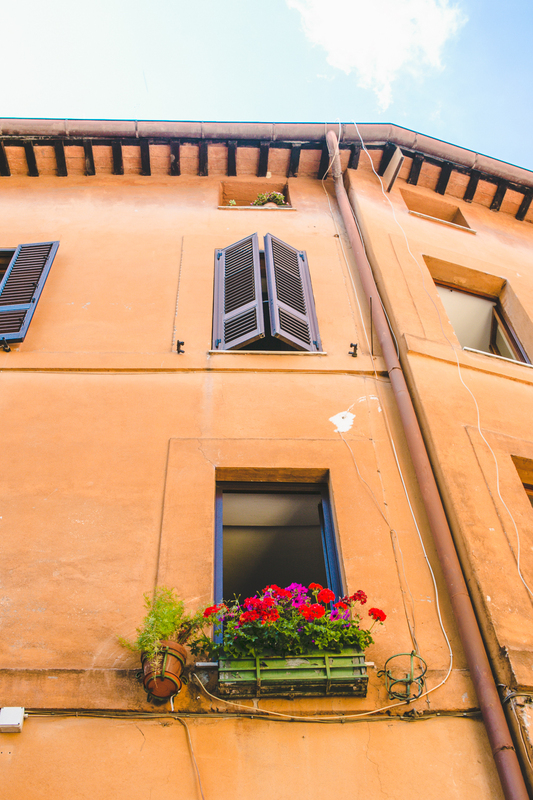 There’s no question, when we think of Italy, we think of food. 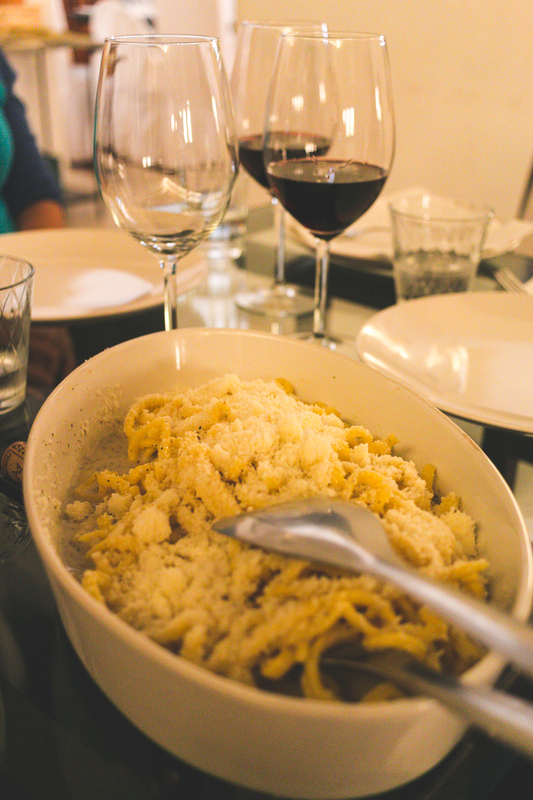 Delicious, gluttonous servings of pasta, pizza and wine. 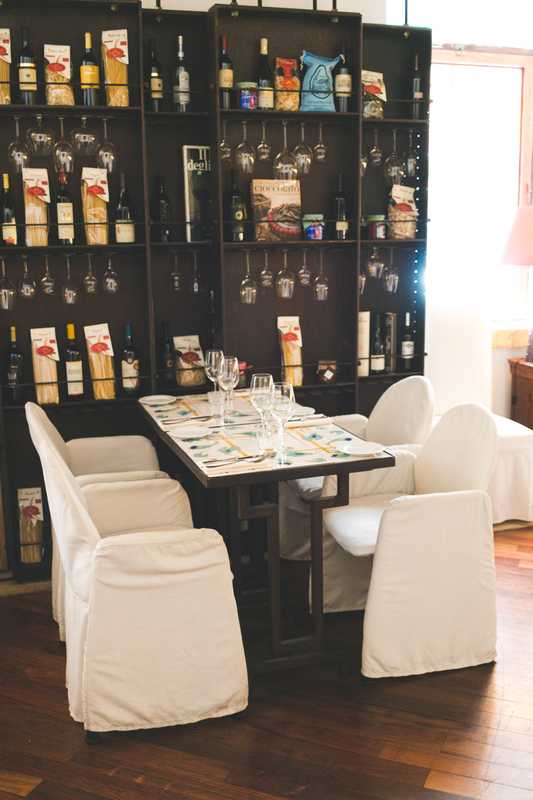 Italian cuisine is perhaps the most adored worldwide. 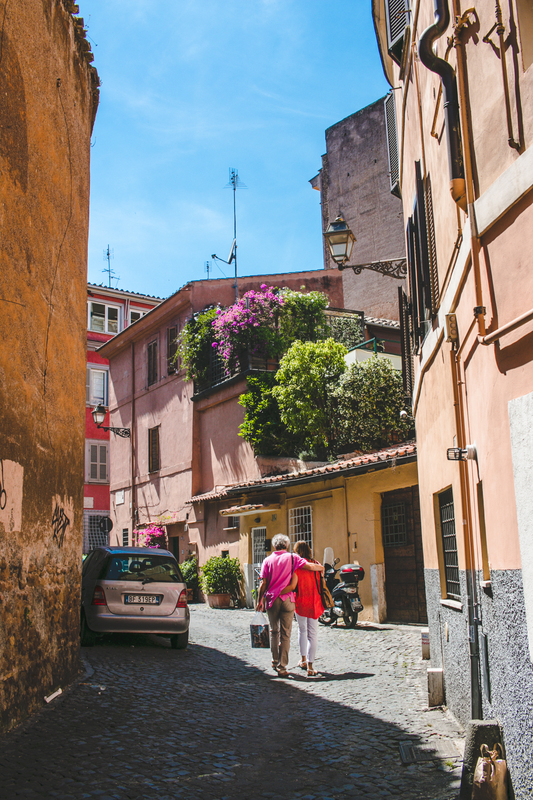 Every hometown has it’s own brick-oven dive and family marinara recipes aren’t just appreciated, they’re cherished. Nothing is more enjoyable then plowing fork-first into spiraling pile of spaghetti. And the king of the Italian eats? In my book, Rome. 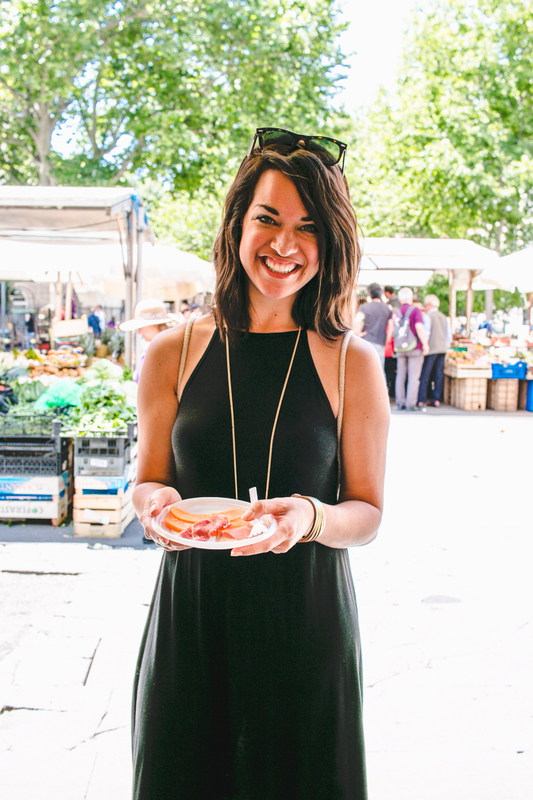 During my visit to the ancient city taking a food tour was a priority alongside exploring the Pantheon. While I did find a number of fantastic local dives (thank you, TripAdvisor) I was curious about today’s Roman cuisine as well as the dishes the grandmas were still cooking. Most importantly, I wanted to taste them. 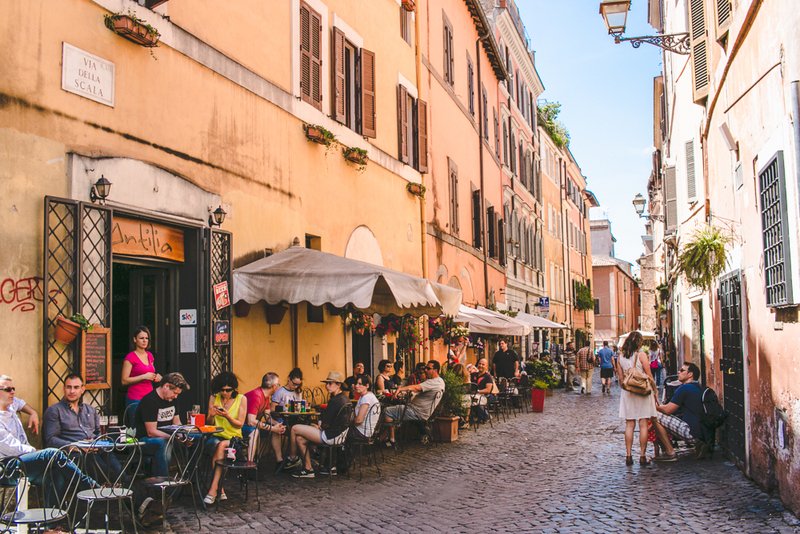 To help me, I turned to Eating Italy Food Tours in Rome and joined their daytime tour in Trastevere. While I won’t recount each and every bite – there were quite honestly too many remember! – the mix of sweet, savory, peppery, buttery, and fresh ingredients ultimately made for a progressive 4 hour meal that I, nor my thighs, won’t soon forget. 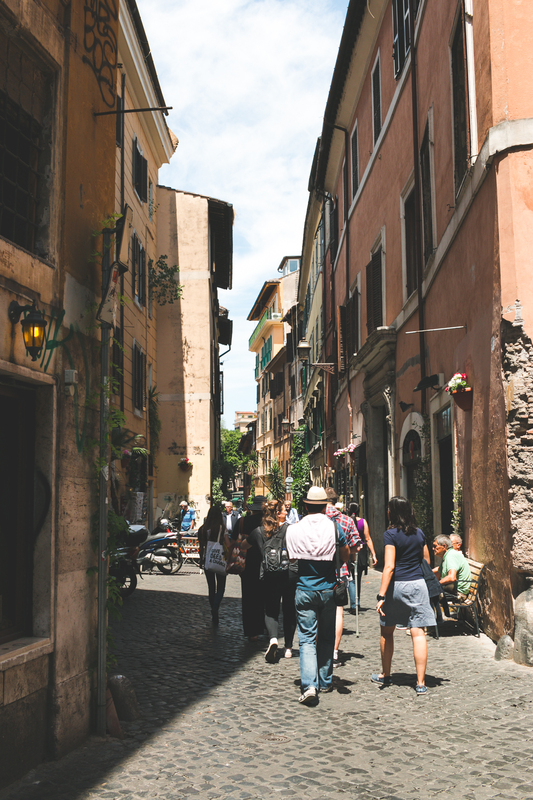 Our guide, Anna, took us on a route through back alleys, across piazzas and into local grocers. 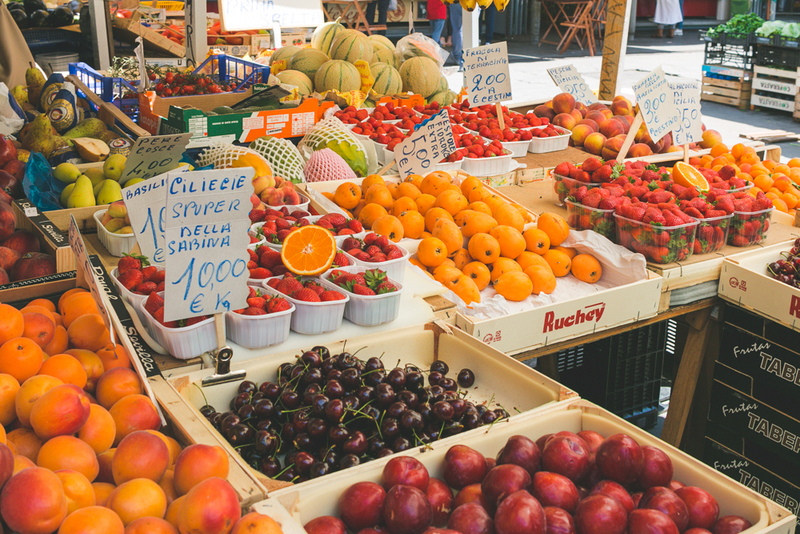 We sampled street fare like suppli, a fried risotto ball, from a locally celebrated suppli shop along with melon and prosciutto, quite literally market-fresh, dispersed by a fruit vendor and nearby butcher. 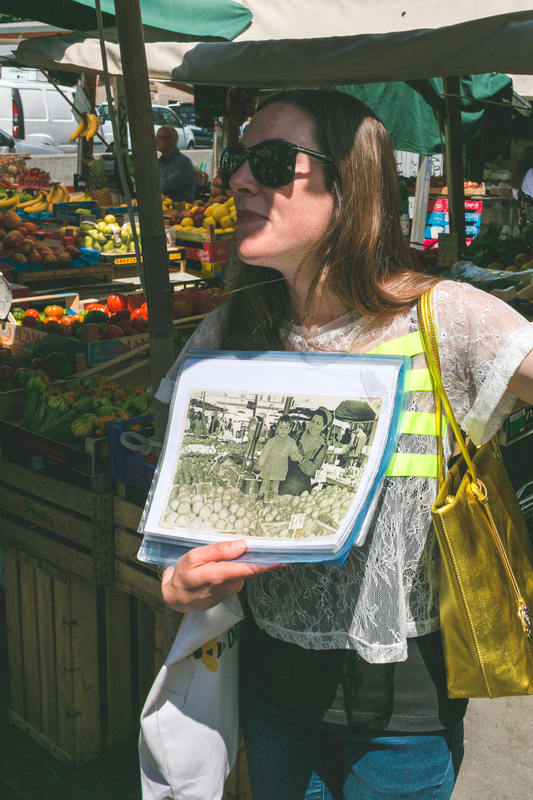 As Anna shared childhood photos of the fruit vendor it was apparent that this food tour was more than about eating, but learning about the culture and community behind each delicious bite. 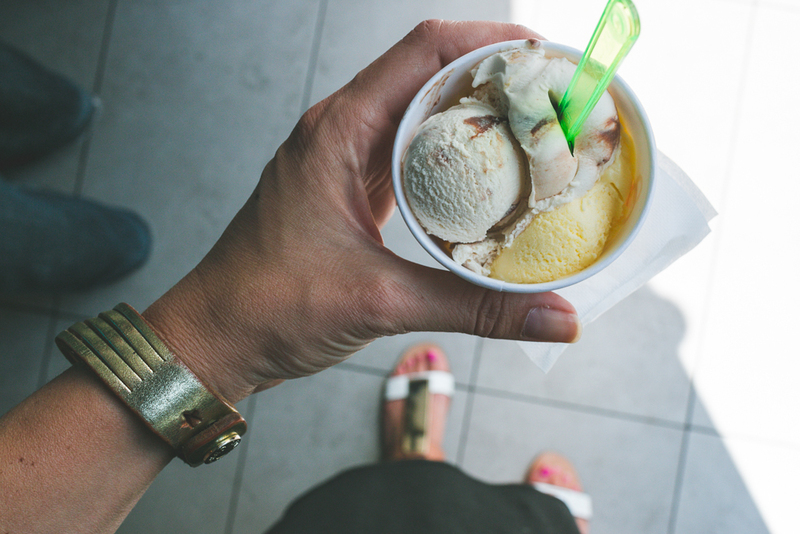 Authentic gelato (stracciatella & lemon for me! 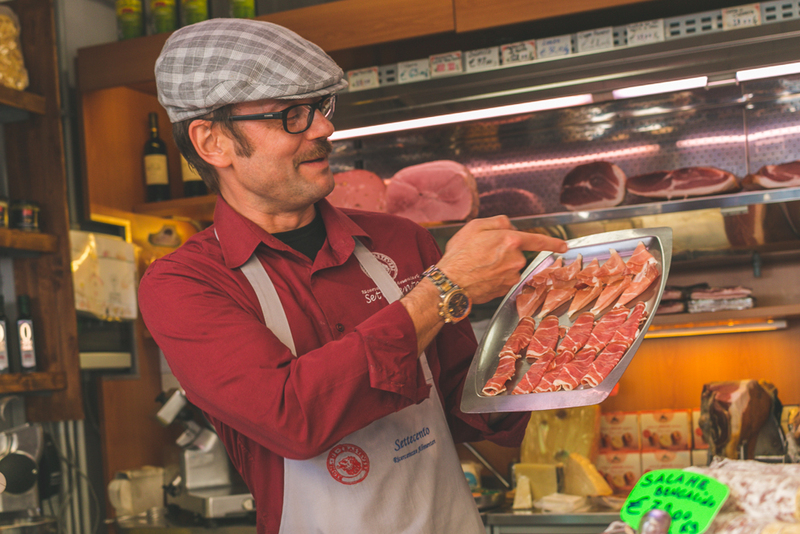 ), fresh cheeses, tiramisu, pastries and even a stop at a famous cookie shop. 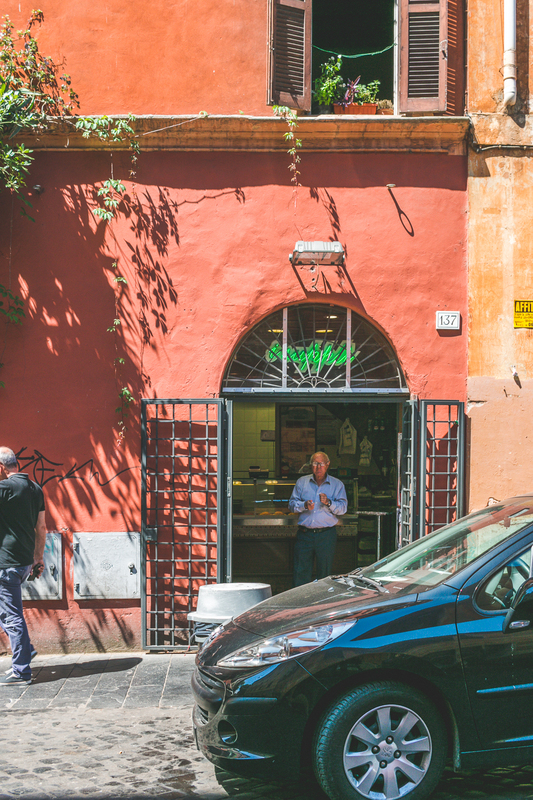 It seemed that every vendor in Trastevere had their own remarkable culinary history. 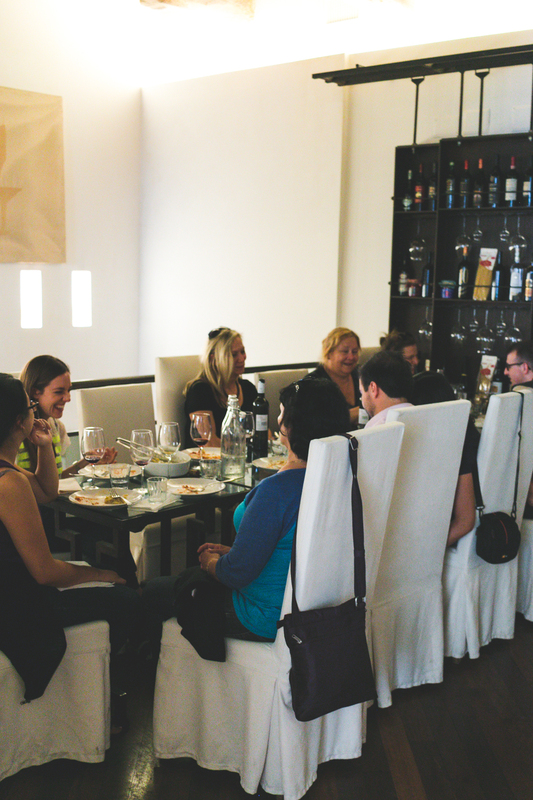 While the mood of the group was at times fairly quiet (more than likely due to the combo of heat and calories) our energy lifted when we were escorted into private seating at Osteria Der Belli. White tableclothed dining, generous pours of wine, I’m still dreaming about the cacio e pepe pasta, fresh Romano cheese with grated pepper. So simple and darn delicious. Our afternoon ended in a dusty wine cellar dating back to pre-Colesseum era, which I had a hard time wrapping my head around. (I blame this on my upbringing in the US in which history, to me, starts in the 1700s.) By the end of the tour I realized that I also truly have an insatiable Italian appetite. I stuffed down one last sample of original crème brûlée and was totally ready for a nap. 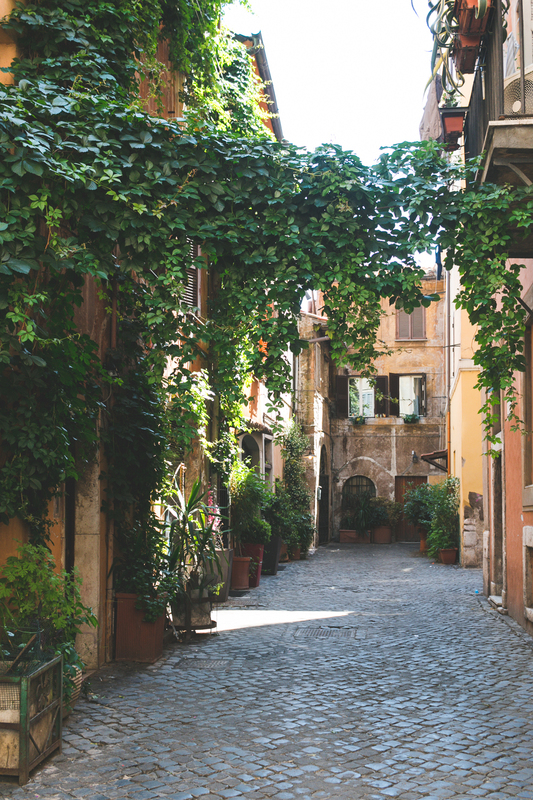 Throughout the tour the food may have held my stomach’s attention but simply walking the neighborhood of Trastevere with Anna was just as enjoyable. 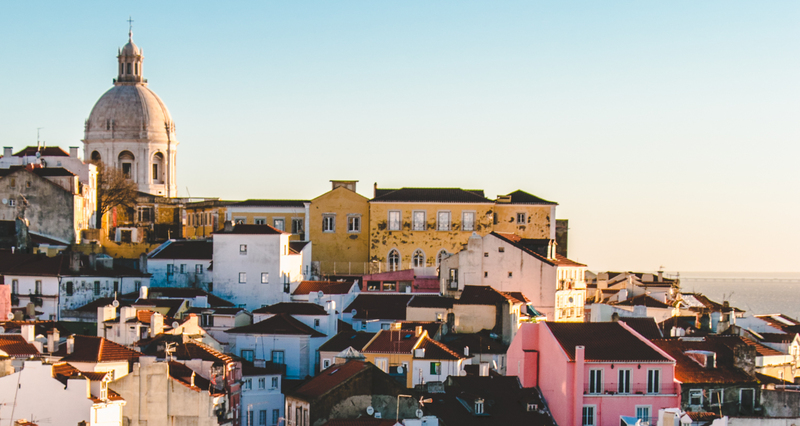 After the tour I retraced our route, taking more pictures as I went – from the cobbled streets to the pastels of the buildings, I couldn’t get enough. 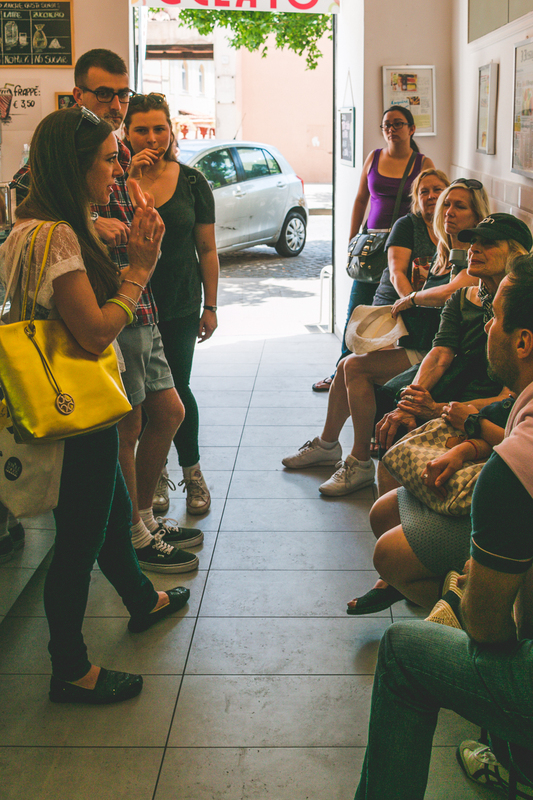 I’ve done a lot of food tours but I gotta hand it to Eating Italy, they were definitely the most organized. Every stop was well planned, Anna warmly greeted each employee by name and samples were quickly distributed. I also loved the map we were provided at the start to help us stay oriented along the way. Kudos to Anna and the team for a great afternoon! P.S. Slightly unrelated but have you seen these Italian phrases about food? A little wine kicks the doctor out the door, am I right? 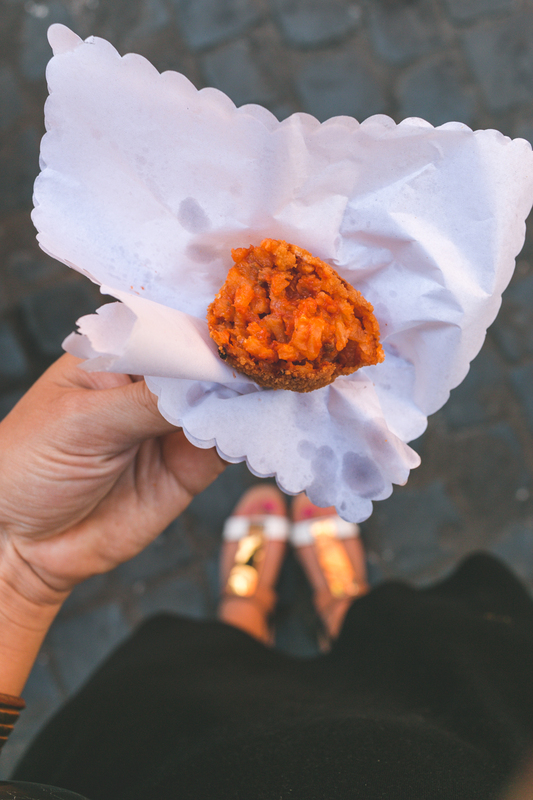 Eating Italy in Rome offered me a complimentary tour in exchange for this review. Per usual, I only share properties, tours and restaurants that I’d recommend to my nearest and dearest and only disclose my honest opinion. Instead of wasting my time (and yours) on negative reviews I simply do not share them on this space.